The TRADE's annual Electronic Trading Awards ceremony, held last Thursday night at the Savoy Hotel in London, has traditionally recognised high standards in the supply of trading tools, specifically execution algorithms, by the sell-side. But for me, this year's event was enriched by the opportunity to showcase buy-side innovation and pursuit of excellence in trade execution. We have been rewarding excellence in the provision of electronic trading tools for several years, but only recently have we started recognising excellence in the use of those tools by the buy-side. We started with The Trade Asia’s electronic trading awards last year, when we asked readers to nominate themselves, their peers or their customers for two awards: one recognising the contribution of a particular project to the investment process at a particular firm; the other recognising a broader contribution to the art and science of trade execution by institutional investors. This year we’ve taken the process we piloted in Asia to our global readership. And I’m delighted we’re able to highlight two examples of excellence and innovation aimed at providing greater value to the end-investor. First, the buy-side project of the year. This recognises a project that has come to fruition in the last 12 months that has made a significant difference to the investment process. We had a number of strong contenders, but head and shoulders about the rest was Franklin Templeton’s ‘Investment Dashboard’, piloted by Bill Stephenson, the firm’s director of global trading strategy. 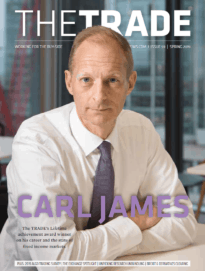 You can read about it in detail in the Q4 issue of The TRADE, but in essence the Investment Dashboard provides dealers with the data to proactively propose timely trade ideas that enhance the value of fund manager’s portfolios. It’s still early days but the benefits are beginning to be evident. Frankin Templeton has asked its PMs to rate the value of the dealing desk for the past eight years. The most recent survey, conducted last month, carried the highest ever ratings achieved by the dealing desk from their PM colleagues. The winner of our first global buy-side trader of the year award has made a major contribution both at his own firm and to the broader buy-side dealing community in the last 12 months or so. Following a career both on the buy- and the sell-side, in his relatively short time so far at Barings Asset Management, global head of dealing Adam Conn has already made quite an impact. This includes implementing a new EMS, new policies for algorithmic trading and new applications for fixed income trading. He’s also underway with a review of how the firm uses TCA. This sits alongside important work as the joint chair of FIX’s EMEA buy-side working group, which was set up around a year ago. The emphasis of the group is on use of standards to improve efficiency of trading by institutional investors. Currently three projects are taking priority: harmonised use of post-trade flags such as Tag29 and 30; extending and standardising the use of FIX in fixed income trading, particularly as peer-to-peer platforms emerge; and automation of trading relating to IPOs in equity markets and new issues in fixed income. 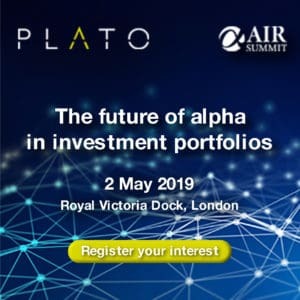 This year's awards were combined with The TRADE's second Agora event, again moderated by electronic trading pioneer Richard Balarkas, this time focused on the subject of outsourcing, from both buy- and sell-side perspectives. You can read a brief account of the main points covered in a news item published today by John Bakie, editor of www.thetradenews.com. As a journalist, I still find being part of a panel slightly nerve-wracking, due to the deficit in practical knowledge compared with the industry professionals both on the panel and in the audience. On Thursday, my nerves were well founded. Although the panel collectively covered a lot of ground in terms of how the pros and cons of outsourcing underlying integral processes have evolved in response to the post-crisis regulatory and commercial environment, we were all nevertheless caught off guard during the Q&A. Toward the end of the Agora, Barings Asset Management's Conn asked the panel what the view of regulators was on outsourcing. For five minutes or more, we mentioned various regulations that might have an impact on the decision-making process of a firm to outsource or not and commented on how the post-crisis regulatory emphasis on transparency might increase the trend toward outsourcing. Balarkas turned back hopefully to the doubtful-looking Conn. "You haven't really answered the question," he said. This took us aback somewhat, but of course he was right. If an asset manager outsources any of its processes to a third-party, who is ultimately held responsible in the event of a problem or breach of regulation? Yes, admitted a panellist, the asset manager will still be on the hook if things go wrong. It was not a surprising answer, but one that needed confirmation in these times of changing rules and remits from financial markets supervisors across the globe. Nor is it an answer that is going to stem the flow of conversations about outsourcing within brokerages or fund management houses. Both the buy- and the sell-side will continue to look for new approaches to how best to organise themselves to deliver value to customers and returns to shareholders. Straight answers to straight questions will be needed.